Prizes worth over £1,500 - and down to 20th place! Cheltenham runs from Tuesday 12th March through to Friday 15th March - a total of 4 days racing with 28 races (excluding charity races). Add up all the winners SP's for those 28 races, and that's the total we're after! For example, a 10/1 winner gives a total of 10.0, a 9/4 winner gives a total of 2.25 - add them all up for the final winning total - just as if you had a winning £1 bet on every winner (without your stake!). The closest guess (above or below) to the final SP total (known on Friday 15th March 2019 after racing) will win the First Prize. Once you have entered, we will keep you up to date with how your prediction is faring by email, and on the last day, we'll send you a message to let you know what total SP you need from the final 7 races to get your prediction spot on! It's a bit of fun, and anyone can win - just pick a number! So, will 2019 be a year where all the favourites win? Or will it be like 2013 and 2017 when there were plenty of long-priced upsets? You decide! Once you have decided on your SP guess, simply complete your entry details below. The very best of luck! The competition is now closed for entries - sorry! 2. The winning guess calculation and winning decision is made by Ownaracehorse Ltd.
3. In the event of a tie we may send a tie-breaker question (for the first prize) or share the prizes equally between the winning entrants. 4. 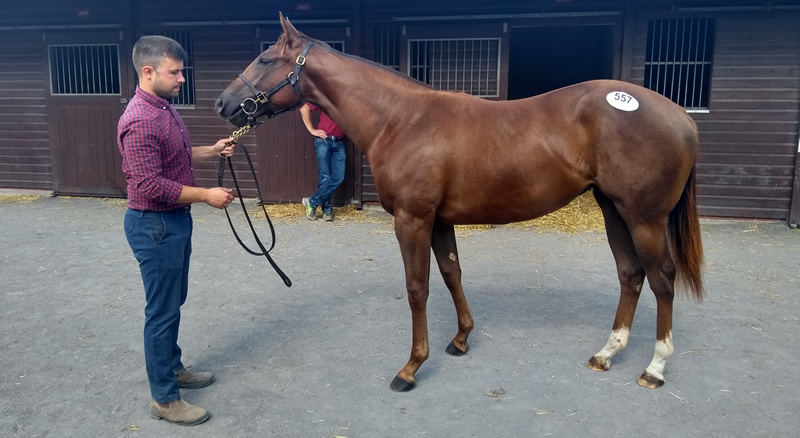 First Prize is a 1% share in the racehorse Paisely's Promise for the 2019 turf season (running until November 1st 2019) and is subject to the winner agreeing with the Standard Ownaracehorse terms and conditions. Second and Third prizewinners will win a 0.3% share in the same racehorse. 5. Result will be notified to all participants via email. 6. The promoters decision is final. 7. One entry per email address. Multiple entries will be removed from the competition - only your last entry will be counted. Entries deemed to be from the same individual or spammed from personal domains will be removed from the competition. The promoters decision is final in this regard. Your email address will be added to our newsletter list and not passed to any other organisation. 8. We can only advise the winner at the email address supplied. We take no responsibility for incorrectly entered email addresses or mis-typed guesses. 9. SP's counted will be official result only. Dead-heats count half each horse's SP. If one or more days of the Cheltenham meeting are lost due to weather or other reasons, the guess totals will be reduced by the number of days lost in order to be fair to all participants - eg. 1 day lost 25% reduction, 2 days lost 50% reduction. If three days or more are lost the competition will be cancelled. 11. All guesses are rounded to one decimal place. 12. There is no cash alternative to any of our prizes.